Contact us today if you have questions about your garage door. We are excited to serve you. 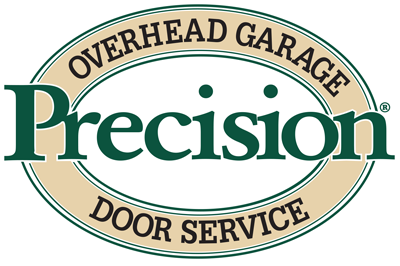 When your garage door experiences problems, you need fast help from experts you can rely on Precision. Our garage door technicians specialize in maintenance and repairs. We arrive promptly at your location and work quickly to ensure your garage door is operating efficiently. Safety is our priority. We know how important it is for you and your family to have a garage door that works the way it is supposed to. You can count on us to provide repairs on time, on budget, and done right the first time. Is it time to upgrade your garage door to a new model? We can help you find the right door and we will provide professional installation. There are so many styles to choose: Whether you prefer a traditional, contemporary, carriage house, or raised panel style, we can deliver. You can expect access to a wide variety of materials, colors, windows, and trims for your door. Our experts can assist with you with designing the garage door and staying within budget. At installation, we will haul your old door away and recycle it for you. Your automatic opener is essential to the function of your garage door. The opener system gives you safe access while keeping the garage well lit and convenient. Your garage door is the most-used exterior door for entering and leaving your home, and it is important for the opener to work reliably. You need a Spokane garage door company that can provide you with the maintenance, repairs, and replacements you need to keep your door functioning. Precision Garage Door of Spokane is your top source for commercial-grade garage door parts. We provide sales, service, and installation for all of your parts. If your garage door malfunctions, you can count on us to supply heavy-duty, guaranteed parts. We give you the exact parts you need. Our ultra-efficient springs, brackets, rollers, and other parts can make your garage door safer, longer lasting, and even quieter. Call us for Spokane garage door services that will make the neighborhood jealous.